Every year, hundreds of dogs go missing or are abandoned. They live as strays, rummaging bins for whatever food might be there. The dirt and the lack of shelter eventually cause them to develop ailments. Some eventually cross the rainbow bridge in this state, but fortunately for others, they are rescued and handed into local animal shelters where they receive treatment from kind hearts like volunteer vets in Surrey. Usually, searching for owners are a futile attempt as the tags or collars are either gone or the writings have become illegible. With technology, however, this problem has been finally addressed. An implantable microchip can now be used in order to better track the animal’s owner. In the U.K., most responsible pet owners have had their dogs implanted with microchips. By February 6, 2013, the government announced that microchipping all dogs and puppies in England and Wales shall be compulsory starting April 2016. This has received huge support from dog lovers as well as from organisations including The Kennel Club, RSPCA, and The Dogs Trust. The police or local authorities, shall have the authority to inspect dogs for microchips. The owner of a dog without one shall be given a short window of opportunity to have their dogs implanted, and if they fail to comply, they could be fined with up to £500 per dog. The obvious benefit of microchipping is, of course, increasing chances of the lost dog being reunited to its owner, while at the same time lowering the population on rehoming shelters. The government further believes that this will aid in settling ownership disputes, prosecution of abandonment and neglect, and ownership liability for dog bites. A question among many pet lovers, however, would be: is it safe? A common fear is that because the microchip is just as small as a grain of rice, there’s the possibility that it will travel to other parts of the body. Plus there’s the potential that a dog’s body will reject the substance and will result to an allergic reaction, developing into an infection or abscesses. Then again, these chances are so rare compared to the relatively high number of dogs implanted with microchips. And for as long as you bring your beloved pets to trusted Surrey vets, like those from Nelson Vets, you won’t have to worry about microchipping going wrong. 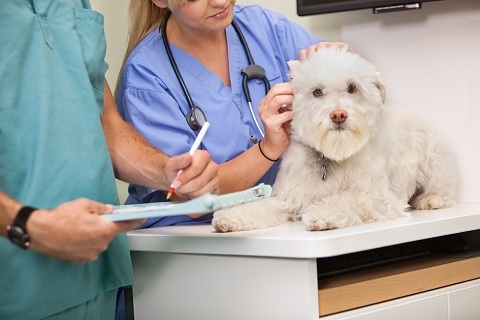 NextNext post:Common Dog Emergencies That’s Need Attention from Vets in Croydon.